Hey everyone! Today is the first day of the Mama Elephant July release highlights and the whole DT is showcasing the set that you saw here yesterday called Stitches! 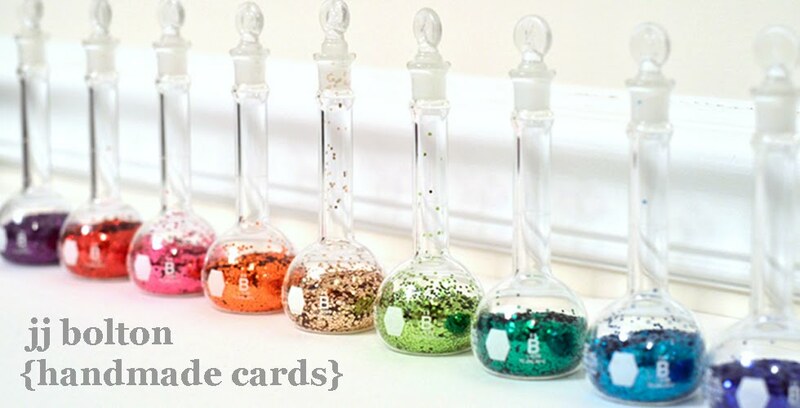 (Which is available on the site NOW by the way) Yesterday, I used the Stitches stamps to create some fun tags. Today, I went straight for that lovely over-sized stitched sentiment!!! You know I love my vellum and I thought wouldn't that stitched sentiment look great on vellum! So I embossed it in gold and I love how it turned out! Behind the vellum I stamped a background of flowers and leaves with stamps from last month's Water Blooms. I used pinks, peaches, and yellows for a soft look. To attach the vellum overlay, I punched two holes at the top and tied the vellum on with burlap string. So easy! Gorgeous card, JJ. 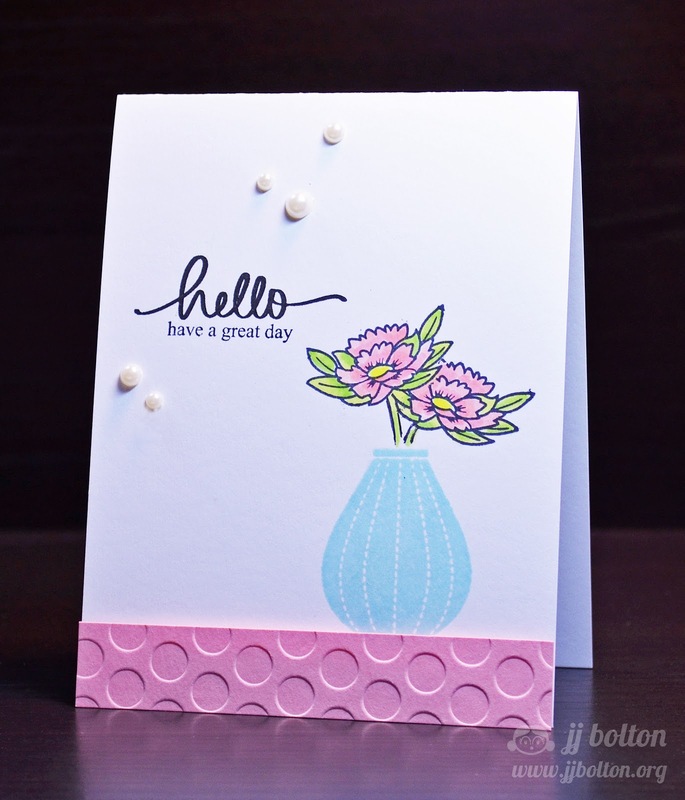 Love the vellum on top of the stamped flowers for the very soft look. The gold embossing really stands out and is lovely. Beautiful! Love the use of vellum and the touch of twine at the top. Such a gorgeous card! The gold and vellum...perfection! At first glance I thought your sentiment was stitched! Gorgeous card, JJ...the gold embossing is stunning and I love how the vellum panel softens the flowers! How gorgeous! 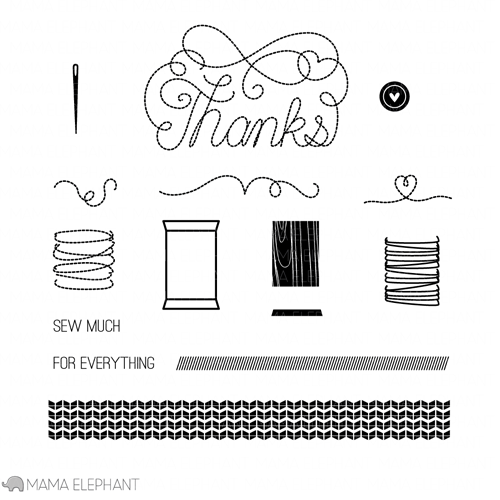 Love the thanks stamp and love what you did with it! JJ-- this is GOOOOOOOOORGEOUS! I love the soft flowers under that sentiment! AMAZING! Wow JJ! This card is stunning! GOLD stitching? Be still my heart. I love the softness of this gorgeous card JJ. The gold is stunning on the vellum JJ. So pretty! I love the softness that the vellum brings to it! It really does look elegant embossed in gold on vellum and I love the softness of the flowers behind it. Isn't this just gorgeous?! The gold embossing looks amazing on vellum!